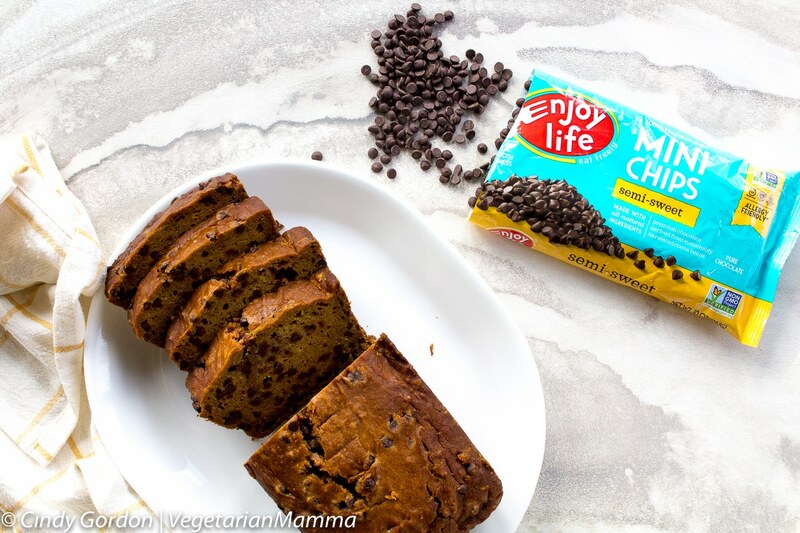 Gluten Free Chocolate Chip Pumpkin Bread is a quick and easy gluten-free bread that your entire family will love! Miss Starbucks pumpkin bread? You won’t after trying this! Welcome Fall! 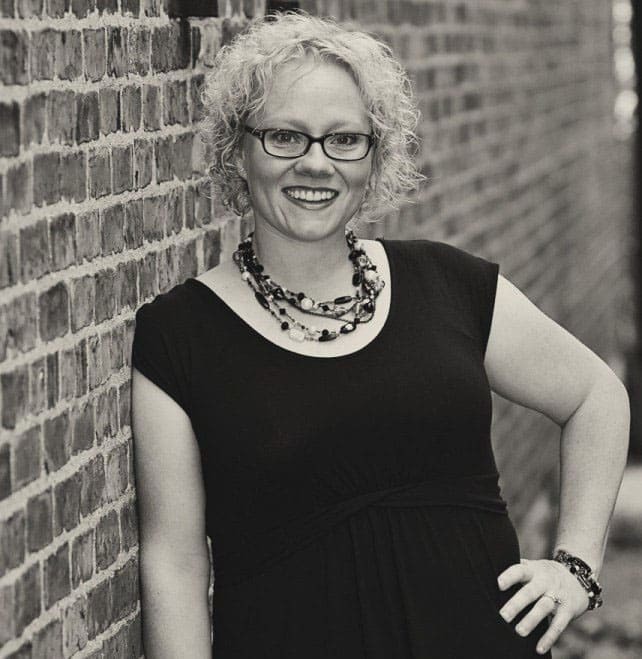 Yes, I said it….welcome…..FALL! It is literally almost there and that means everything pumpkin! If you love pumpkin you need to check out our Gluten Free Pumpkin Pancakes and our Gluten Free Pumpkin Chocolate Chip Donuts! We definitely have all FOUR seasons here in Ohio. Granted sometimes the seasons seem to get mixed up a little. For example, last May we seemed to have full blown summer temperatures. Then it got cool again, then back to HOT at the end of June. As the saying goes, “if you don’t like the weather here in Ohio, just wait 5 minutes.” It sure does change frequently around here! But, with that said, I am excited for the fall! Bring on the jeans, sweatshirts and my pumpkin foods and drinks! For years, I’ve heard my friends OH and AH over the pumpkin loaf at Starbucks! Well this girl, cannot eat that! 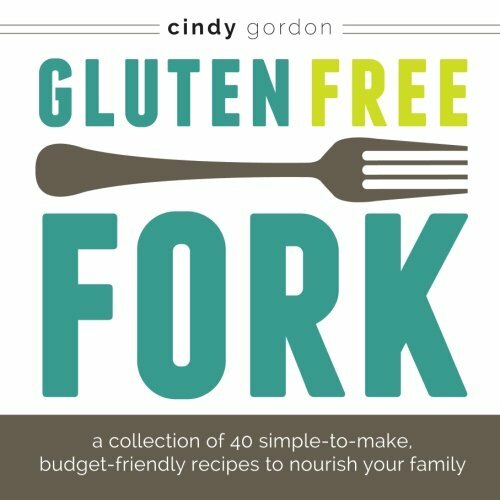 It has gluten! ACK! But there is ONE way to fix that…make it yourself! 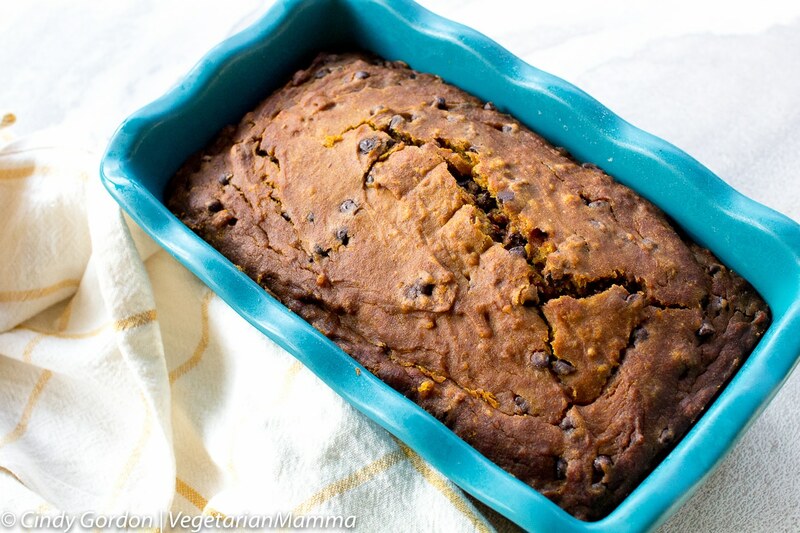 You are seriously going to love this pumpkin chocolate chip loaf! This is not your average Starbucks pumpkin bread or your typical Martha Stewart Pumpkin bread, this is better! Honestly, it is a struggle to eat any baked goods at Starbucks, when you have to eat gluten-free. I mean I do love Starbucks drinks! 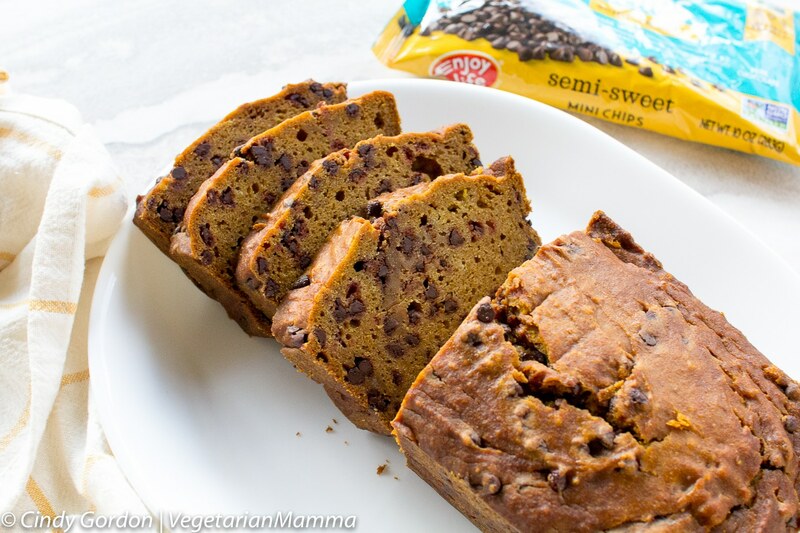 This gf pumpkin bread is what you are looking for! Best part: you know exactly what goes into it and there is NO cross contamination when you make it at home! There are a lot of recipes out there for “one bowl pumpkin bread.” I guess you could call this one that if you wanted. I did use two bowls, but it is simple enough to combine into one bowl. So I combined all the wet ingredients in one bowl, then all the dry ingredients into another. (minus those chocolate chips) Then I slowly mixed the dry ingredients into the wet ingredients. Once combined I added in the chocolate chips! We LOVE Enjoy Life Foods and we talk about their products a lot! We love Enjoy Life Foods products because they are very allergy friendly and they taste amazing. 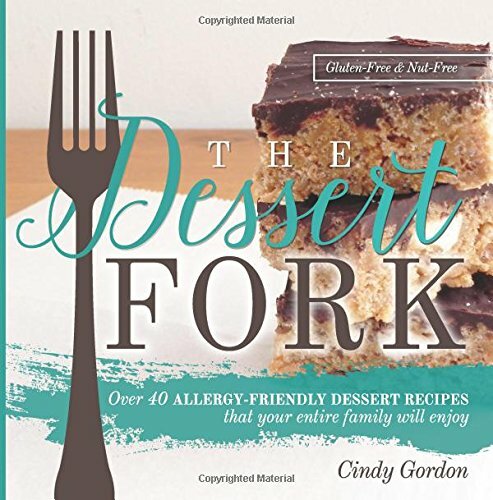 Enjoy Life Foods has been serving our food allergy community for 17 years with their certified gluten free and free from 14 allergens products. For this recipe, we used their TOP 8 allergen free mini baking chips. 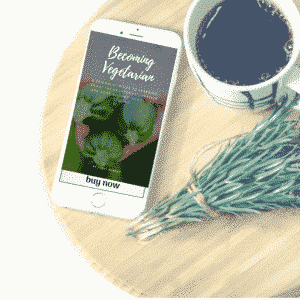 (affiliate link) Oh, you are going to love these. The trick is to not eat them all (by the handfuls) while you are baking this! I’ve seen these chips in Whole Foods, Kroger and Target! We love to bake with them, add into other recipes and eat by the handful! Wondering where you can buy? Check out the store locator. Then I placed my batter into two bread pans. Here, is where it can get tricky. I used a metal and a ceramic bread pan. Both have different cooking times! So just be aware of what you are using. Basically, you are baking in the loaf pans until a tester inserted into the center and it comes out clean. So why is there a baking time difference between metal and ceramic? Truth is, that ceramic (or glass) isn’t that great of a conductor of heat as metal! The glass or ceramic heats up quicker and retains heat, so the food items typically cook faster. Needing a bread pan? Here is one similar to the metal bread pan (affiliate ad link) I used. If you want to go the ceramic route, here is one that is similar to the ceramic bread pan (affiliate ad link) I used. Filling up your bread pan to the correct height makes a difference on baking time. You should be filling your loaf pan between ½ and ¾ full of batter after you have lightly oiled the loaf pan. The next part is the hardest! You have to let the bread cool completely….almost. While it doesn’t need to be at room temperature, it does need to cool considerably before you cut it. If you cut it while warm, it will crumble. Believe it or not, there are several health benefits to pumpkin! Pumpkin puree is loaded with fiber, which helps to support healthy digestion! Pumpkin puree also is stocked full of iron. Iron gives your immunity system a boost as well as your eyes, bones and teeth! There are quite a few benefits to consuming pumpkin! Who knew? Are you wondering how you can make homemade pumpkin puree and not use the canned stuff? Roasting a pumpkin is pretty easy! Check how my instructions on how to roast a pumpkin for fresh pumpkin puree. Be sure that you are using real pumpkin and not a pumpkin pie mix. This is a pumpkin bread with real pumpkin. 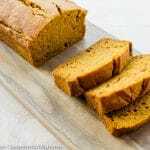 Can I use an egg substitute for this wheat free pumpkin bread? This recipe is very egg heavy. Typically, when you replace eggs in a recipe, it is for 1-2 eggs. Egg replacements will not work in this recipe since it calls for four eggs. What can I top the loaf with? If you want some crunch on our gluten free pumpkin bread you can top your loaf with some pumpkin seeds or chopped nuts if that is in your eating plan. What if I don’t have pumpkin pie spice? Pumpkin pie spice in this recipe just makes it easier. Did you know that pumpkin pie spice is made up of: cinnamon, cloves, ginger and nutmeg. So if you do not have any pumpkin pie spice on hand but you have the other spices, you can add those in! What type of gluten-free flour did you use? Can I adjust the sugar? Absolutely, you can adjust the sugar. I used cane sugar in this recipe, but you are welcome to use the type and amount of sugar (or sugar substitute) that you wish! High Altitude: If you live in a high altitude, you will need to adjust the recipe accordingly. I made this at about a 1000 feet above sea level. Can you put bread back into the oven? You know the drill, the timer dings to let you now your bread is done. You remove the delicious smelling bread from the oven and it looks completely baked through. But, you do not insert a tester. You come back when the bread is cooled down some, insert the tester only to find that the bread is NOT cooked all the way through. Lucky for you, you can put the bread back into the oven to bake it some more! Do not throw out the bread put it back into the oven to bake some more! Of course, you can! Just use an oiled muffin tin and adjust your bake down time slightly. I would check the muffins after 12 minutes, then every 5 minutes after that. Pro TIP: If you see that the top of your bread is browning TOO quickly, gently drape a piece of foil over the top of the bread. The foil should just lay there loose and not be tight. This will help the top from browning further and will still allow the easy gluten free pumpkin bread to keep on baking! 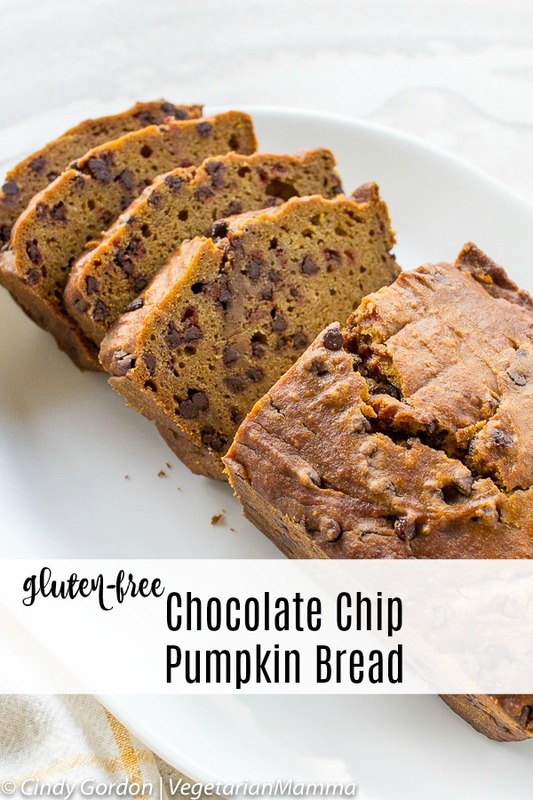 Gluten Free Chocolate Chip Pumpkin Bread is a quick and easy gluten-free bread that your entire family will love! Miss Starbucks pumpkin bread? You won't after trying this! Mix all wet ingredients and set aside. Combine wet and dry ingredients, blend well. Bake for 50 minutes in a Metal or until a knife comes out clean. I used a metal pan for this recipe. I filled it 1/2 to 3/4 full and it baked in 40 minutes. Question: Are you a pumpkin lover? 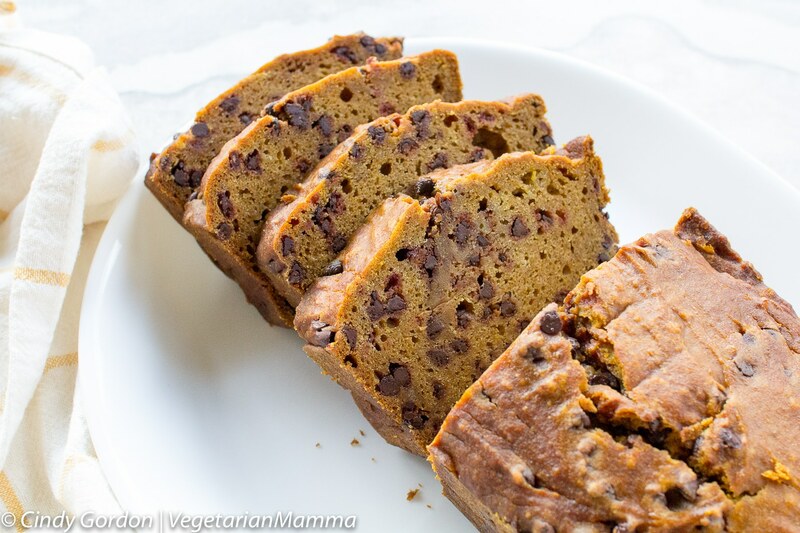 Have you ever had chocolate chip pumpkin bread? 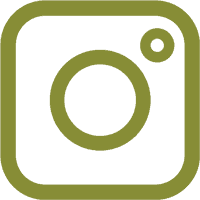 Drop me a comment and let me know! 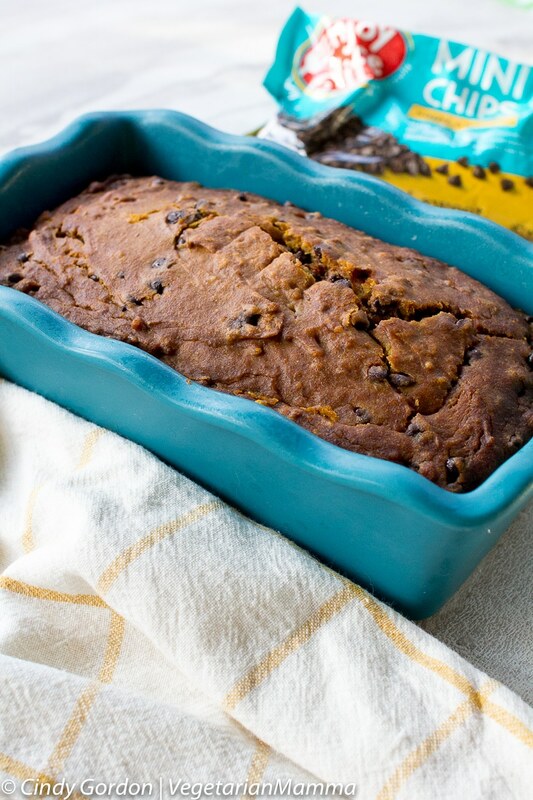 I am so excited to make this gluten-free pumpkin bread this weekend! My whole family will just love it, thank you! Fantastic! I hope that you enjoy it as much as we do! This is so yummmmm!!! 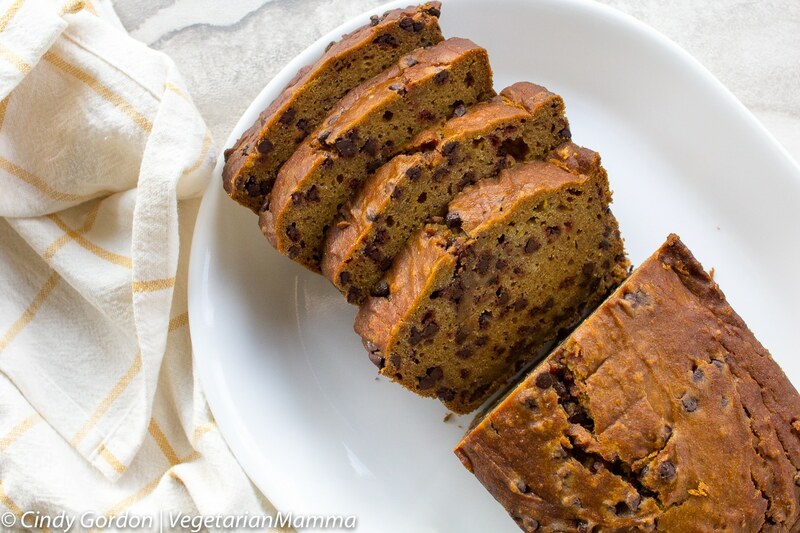 I love Pumpkin bread and I’ve been looking for a glutenfree version to try. I’m so doing this over the weekend – YaaaY!! Pumpkin bread is so delicious! Tis the season for pumpkins! Yes, I’m a pumpkin lover and I can’t wait to really get into fall. Early September is such a tease. 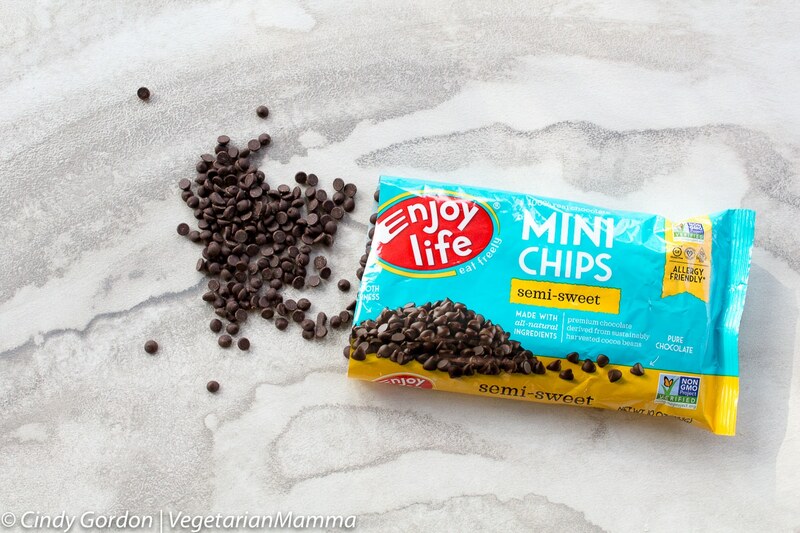 I love the mini chocolate chips, and I also love how you have a tips section of your blog. Thanks, I tried to include as many tips as I could! The texture on the bread looks perfect, and I always love anything with chocolate chips. I can’t wait to give this a try now that we’re pretty much in pumpkin season! Yes, pumpkin season is here! This year has gone quick! Thank you so much! We LOVE enjoy life too! Can’t wait to give your pumpkin bread recipe a try. Perfect addition to Fall baking. Didn’t know that about the differences in pans. Thanks for sharing! You are so welcome for the pan info! Wish I could give ten stars! This looks so comforting and delish!